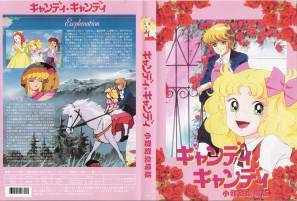 Apart the anime serie we all know, Toei Animation produced also 4 Candy Candy movies. Came out on 18th of March 1978, and was shown during the Toei Anime fair. Came out on 22d of July 1978. The latest that tells about Candy's childhood and her meeting with Anthony. The character-design is also very different. Came out on 25th of April 1992. There is also a 4th movie and this is the picture below of the entrance ticket. Came out on 17th of July 1977.